Here is Justin wearing his black and white pirate costume at Sati’s first birthday celebration last year. He won the best costume award for boys. And here is Justin wearing his black and white checkered polo shirt. 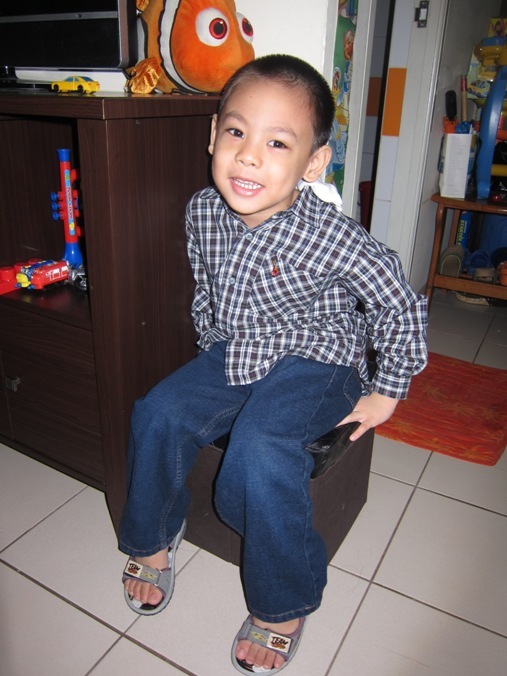 This picture was taken last Sunday before we went to church. On a different note, can anyone suggest a good place to buy unlocked cell phones? I badly need a replacement for my three-year-old cell phone. This entry was posted in Black, Mommy Moments, White. Bookmark the permalink. Ai Ai Captain! 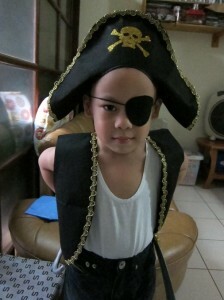 ang gwapo ni Justin hehehe, like ko yung captain attire hehehe..
justin is so cute on his pirate costume! i love it! he looks like a very menacing pirate! hi hi hi! ahahhaha..may ganito pala noon yong anak ko..di ko nalang makita pics..hehe. he deserved to win the best costume award… ang cute! check my ENTRY here.. Thanks! what a good looking pirate! He’s sure to bag home the best costume with that cuteness! Nice costume!He deserved to be won! ang cute ng pirate mo, tetcha, hehehe. He deserves to win. BTW, your badge is up on my sidebar because you’re my top 3 commenter for april. Thanks for dropping by! oh! that was so cool! that pirate costume really ROCKS! lol! no wonder, he won the best in costume! 😀 happy mommy moments tetcha! oh justin – what a hottie pirate!